"The streaming services have a bad situation, there's no margins, they're not making any money," Iovine explained to Billboard. "Amazon sells Prime; Apple sells telephones and iPads; Spotify, they're going to have to figure out a way to get that audience to buy something else. If tomorrow morning [Amazon CEO] Jeff Bezos wakes up and says, 'You know what? I heard the word "$7.99" I don't know what it means, and someone says, 'Why don't we try $7.99 for music?' Woah, guess what happens?" Spotify is the world's most popular on-demand streaming service, with over 60 million paid subscribers and many more listening to a free ad-based tier. Apple Music has over 30 million customers in total, with no free option beyond a three-month trial. Spotify, however, has struggled to achieve profitability, funneling any revenue increases into cementing its foothold. Apple Music is effectively a "halo" project, used as much to keep people buying iPhones as generate new revenue. Conceivably Apple could slash subscription prices and still come out ahead because of the large profits it makes off hardware. 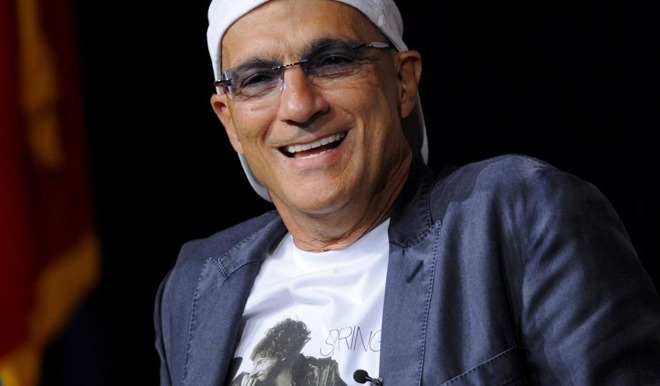 Iovine has been highly critical of companies like Spotify and Pandora, for example saying that their free tiers don't generate enough royalties for artists.